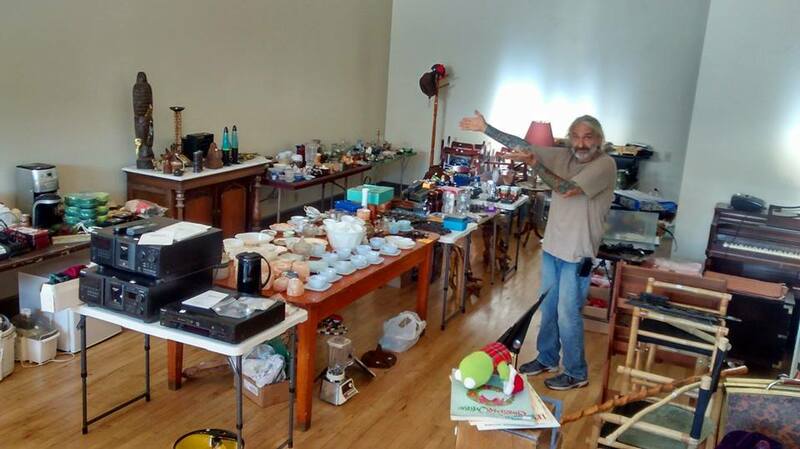 STEVE REES IS having a big "garage sale" Saturday. He should call it "All The Interesting Stuff I've Collected During This Adventure Called Life" sale. It's Friday from 9 a.m. to 6 p.m. and Saturday from 7 a.m. to 2 p.m. at his 836 South Eighth Street address. Look at all this cool stuff! I'm including Steve's beard, of course. Steve does some work for us and is a fantastic musician. When we first opened Second String Music at Eighth and Washington, he came down the block from his place and said, "You guys need any stuff to sell?" A day later, we'd tripled our inventory and had the coolest instruments for a fledgling music store - green guitars, seven-string guitars, banjos, mandolins, all kinds of stuff. Steve runs our store when Sheryl and I head out of Dodge. He is in charge of the Open Mic Night at One Restaurant. He's The Man. 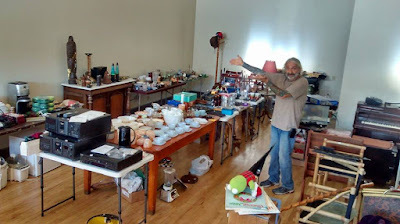 If you are looking for run of the mill and junky garage sale crap, which flourishes in Calftown, don't stop at his place. If you've got an eye for the obscure and interesting, well, check it out. Sounds like Sheryl and I will have to make a stop before we open the store Friday morning!